Although made Igloo-tough, accidents can happen. 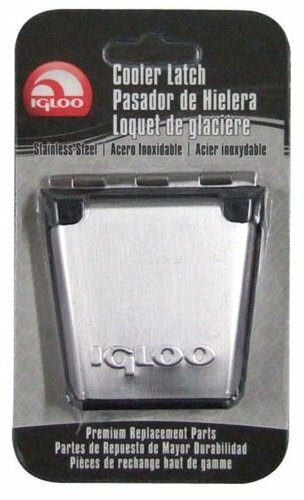 Get your replacement latches here to make your Igloo cooler like new again. This Stainless Steel latch is 100 percent steel for longer life and a secure closure. Made to fit Glide Elite and all current and old style Igloo coolers equipped with latches. 1 unit.